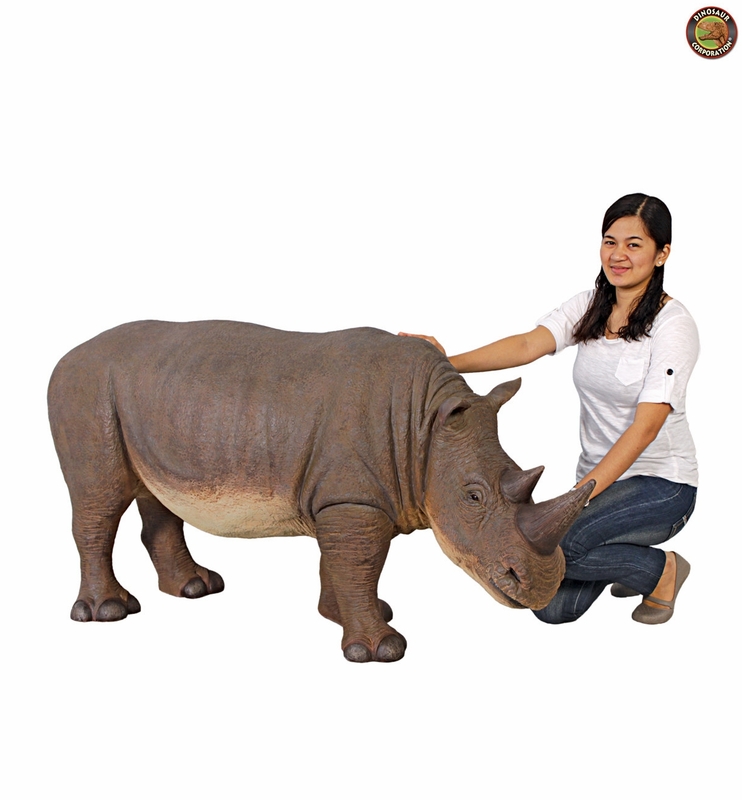 Home | STATUES | Grand-Scale Rhinoceros Statue 58"
Grand-Scale Animal Wildlife Collection. Bursting through the underbrush with its characteristic single horn. Our rhino sculpture is cast in quality designer resin, reinforced with fiberglass for strength, and is hand-painted for authenticity to display its thick, protective hide. This large-scale, display-quality animal sculpture transforms any restaurant, store or hotel into something truly magnificent! This attention-getting animal sculpture will be a stunning addition to your home or garden.